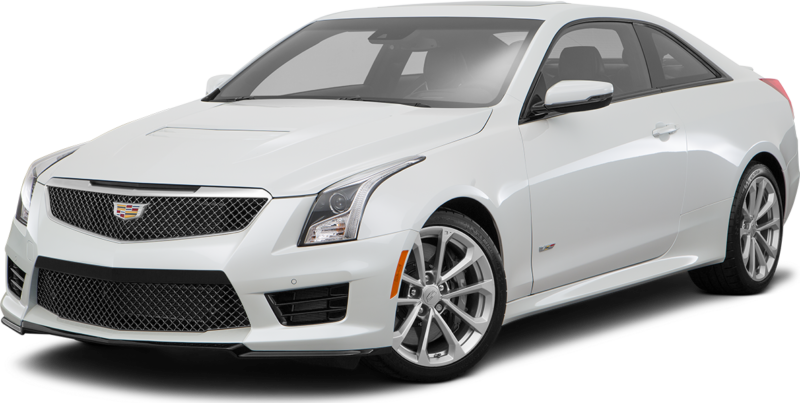 2018 Cadillac CTS-V Sedan for sale serving Southern California and beyond 1G6A15S66J0154961 - SoCal Cadillac. Cadillac Certified, CARFAX 1-Owner, LOW MILES - 3,650! Nav System, Heated/Cooled Leather Seats, Satellite Radio, iPod/MP3 Input, Onboard Communications System, Back-Up Camera, Aluminum Wheels, Premium Sound System, Supercharged AND MORE! KEY FEATURES INCLUDE Leather Seats, Navigation, Heated Driver Seat, Cooled Driver Seat, Back-Up Camera, Supercharged, Premium Sound System, Satellite Radio, iPod/MP3 Input, Onboard Communications System, Aluminum Wheels, Remote Engine Start, Dual Zone A/C, WiFi Hotspot, Blind Spot Monitor. MP3 Player, Keyless Entry, Remote Trunk Release, Child Safety Locks, Electronic Stability Control. EXPERTS RAVE "Last but for sure not least, the CTS-V is the ultimate American hot rod, true blue to its roots, all of them. You can not buy a car like this anywhere else. It's one of a kind, and a bargain given its performance capabilities." -newCarTestDrive.com. SHOP WITH CONFIDENCE 6 years/ 100,000-mile of Limited Warranty, 172-Point Vehicle Inspection and Reconditioning process, 24-Hour Roadside Assistance, Courtesy Transportation, Digitally equipped vehicles are eligible for 3 trial months of OnStar Directions and Connections, XM-equipped vehicles receive 3 trial months of the XM Everything Package OUR OFFERINGS Mark Christopher Auto Center is the largest Chevrolet, Buick, Cadillac and GMC dealer in California! Being centrally located in Ontario, CA. allows us to easily serve the Los Angeles metro area. Family owned and operated since 1975, with a friendly staff who can help you find your next Brand New or Certified Pre-Owned Vehicle. Pricing analysis performed on 4/11/2019. Please confirm the accuracy of the included equipment by calling us prior to purchase. I'd like to possibly purchase this 2018 Cadillac CTS-V Sedan. Is this 2018 Cadillac CTS-V Sedan still available?